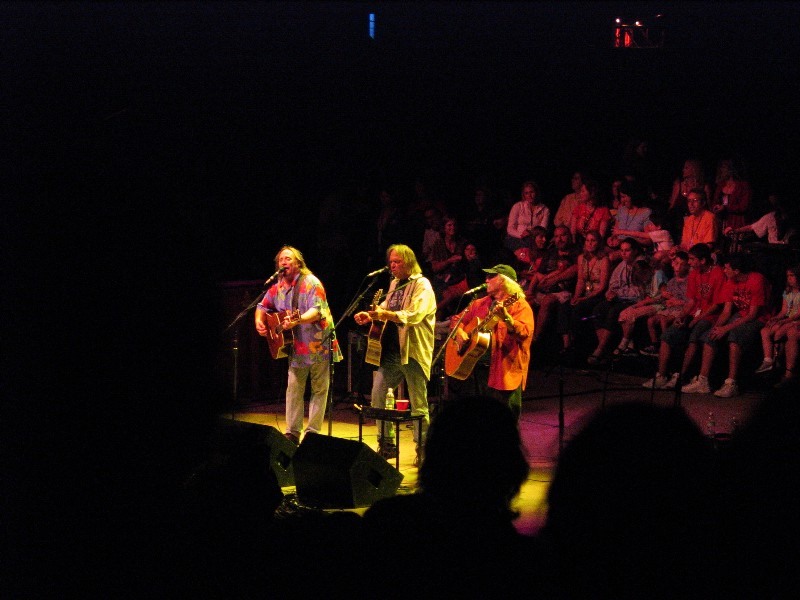 Neil Young performs annually to benefit the Bridge School. The Bridge School is an educational program dedicated to ensuring that children with severe speech and physical impairments achieve full participation in their communities through the use of augmentative & alternative means of communication (AAC) and assistive technology (AT) applications. For more information, go to The Bridge School website. The 26th Annual Bridge School Benefit Concert on October 20 and October 21, 2012 at the Shoreline Amphitheater in Mountain View, California. For Lineup, reviews, videos, photos, see 2012 Bridge School Benefit Concert Reports. The 25th Annual Bridge School Benefit Concert on October 22 and October 23, 2011 at the Shoreline Amphitheater in Mountain View, California. Lineup: 2011 Bridge School Benefit Concert. For reviews, videos, photos, see 2011 Bridge School Benefit Concert Reports. The 24th Annual Bridge School Benefit Concert October 23 and October 24, 2010 at the Shoreline Amphitheater in Mountain View, California. The 23rd Annual Bridge School Benefit Concert October 24th and October 25th, 2009 at the Shoreline Amphitheater in Mountain View, California. UPDATE 10/24/09: 2009 Bridge School Benefit Concert Reviews, setlists, photos, YouTube video and lineup. The 22nd Annual Bridge School Benefit Concert October 25th and October 26th, 2008 at the Shoreline Amphitheater in Mountain View, California. For updates with setlists, photos, reviews and links Bridge School Benefit Concert 2008 page. 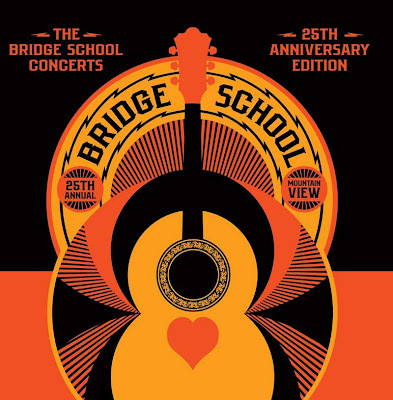 The 21th Annual Bridge School Benefit Concert October 27th and October 28th at the Shoreline Amphitheater in Mountain View, California. For updates with setlists, photos, reviews and links Bridge School Benefit Concert 2007 page. The 20th Annual Bridge School Benefit Concert October 21st and October 22nd at the Shoreline Amphitheater in Mountain View, California. 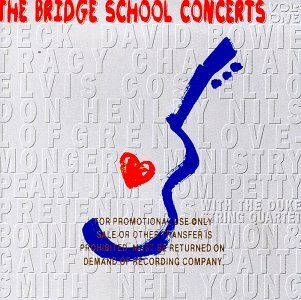 For updates with setlists, photos, reviews and links Bridge School Benefit Concert 2006 page. 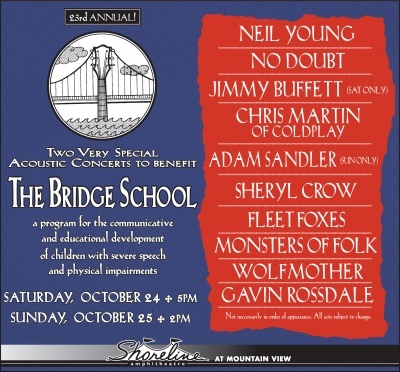 The 19th Annual Bridge School Benefit Concert are scheduled this year for Saturday, October 29th and Sunday, October 30th, 2005 at the Shoreline Amphitheater in Mountain View, California. 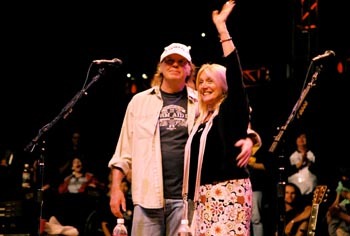 For updates see Neil Young News and setlists, photos, reviews and links Bridge School Benefit Concert 2005 page. 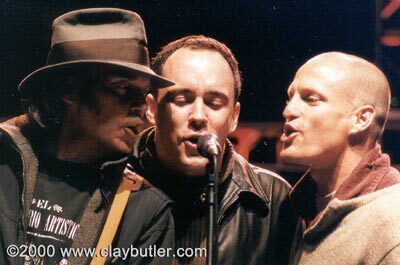 The 17th Annual Bridge School Benefit Concert was held on October 25th and 26th, 2003 at the Shoreline Amphitheater in Mountain View, CA. For setlists, photos and links Bridge School Benefit Concert 2003. "'It's kinda hard to know what song to play these days 'cause every word sounds different than it did before,' said Neil Young, following a perfectly chosen and rendered rendition of the Beatles' 'All You Need Is Love' during his show-closing set with Crazy Horse at Saturday's 15th Anniversary Bridge School Benefit at Shoreline Amphitheater in Mountainview, California. Referring to the events of September 11th, Young used every bit of his allotted time onstage this year -- from his two-song opening to the all-star jam bookending the day's entertainment -- to deliver his unwavering, though not necessarily popular, peacenik message to the sold-out crowd who gathered to hear a stellar lineup raise money for the Bay Area school for children with severe learning disabilities (which Young's son attends). Instead of his usual collection of rearranged versions of kid and family-appropriate garage folk classics, Young tailored a set that shot directly at the heart while confronting the national tragedy and life afterward. Just as he used his time last month on the America: A Tribute to Heroes telethon to wage peace with his reading of John Lennon's 'Imagine,' on this night Young again chose another songwriter's work to bring his agenda back home by performing Bob Dylan's anti-war epic, 'Blowin' in the Wind.' Twice. " Vedder, wearing a green army jacket and khaki pants, prefaced 'Last Soldier,' the second of two new songs the band performed Sunday, by saying that guitarist Mike McCready had written the tune just a week earlier. The folky, vintage Neil Young-like song featured lines about a new generation's trepidation about going to war. Vedder took on a Dylan-esque snarl for Lennon's 'Give Me Some Truth,' spitting out the lines 'I've had enough of reading things by neurotic, psychotic, pig-headed politicians,' as the band picked up steam behind him and the song came crashing to a crescendo. After an intense duet with Harper on 'Indifference' and the live debut of 'Low Light,' the set closed with the band's playful cover of Arthur Alexander's 'Solider of Love,' in which Vedder pleaded, 'Lay down your arms/ And surrender to me.'" 14th Annual Bridge School Benefit, Shoreline Amphitheatre, Mountain View, CA, November 5th 2000 - "Soaked in Hope" by Clay Butler: A photographer's perspective on a Bridge concert.